Although not unexpected following the prayer request for his health, issued last week by Bishop Peter Kohlgraf, the death of Cardinal Karl Lehmann, early yesterday morning, is a sad conclusion to a long lifetime of service to the Church, one that coincided with and shaped the past decades of her life and development. Cardinal Lehmann had been bedridden since suffering a stroke last September, weeks after consecrating his successor, the aforementioned Bishop Kohlgraf. After serving for 33 years at the helm of the Diocese of Mainz, it seems sad that his well-earned retirement was so short. Karl Lehmann was born in 1936 in Sigmaringen, the son of a teacher and his wife. After his school years, which partially overlapped with the Second World War, he went to study philosophy and theology in Freiburg and Rome. In 1963 he was ordained to the priesthood in Rome by Cardinal Julius Döpfner, then the archbishop of München und Freising. In the 1960s, Karl Lehmann earned two doctorates in philosophy and theology, but his most noteworthy work in that time was as assistant of Fr. Karl Rahner at the the universities of Munich and Münster, and also as the Second Vatican Council. At the age of 32, in 1968, he was appointed as professor in Mainz and three years later also in Freiburg im Breisgau. Karl Lehmann became bishop of Mainz in 1983, vice-president of the German Bishops’ Conference in 1985 and president of the same body in 1987. He was re-elected as such three times and stepped down, for health reasons, in 2008. In 2011, he was named a cardinal with the title church of San Leone I. Cardinal Lehmann participated in the conclaves that elected Popes Benedict XVI and Francis. He submitted his resignation as bishop of Mainz to Pope Benedict XVI in 2011, but this was only accepted upon his 80th birthday by Pope Francis. In his lifetime, Cardinal Lehmann received eight honourary doctorates, the Grand Cross of the Order of Merit of the Federal Republic of Germany and the honourary citizenship of the city of Mainz. Chancellor Angela Merkel also reacted to the death of Cardinal Lehmann, saying, “I am greatly saddened by the death of Karl Cardinal Lehmann. Today, I think with gratitude of our good conversations and meetings over the course of many years. He has inspired me with his intellectual and theological strength and always also remained a person full of eartly vitality”. Federal President Frank-Walter Steinmeier characterised the cardinals as “a man of clear words who, despite his thoughtfulness and conciliation, did not shy way from political controversy.” It was clear to people who met him, the president added, that the cardinal did not only rely on his own strength, but also on the grace of God. The many faithful who visited Mainz cathedral to share their condolences unanimously remember “our Karl”, as he was affectinately known in his diocese, as “sympathetic”, “human, open […] and with his humour”, “a fine Christian”, “a man who acted what he preached”. Cardinal Lehmann will be buried on Wednesday 21 March. The spiritual testament he has left behind will be read out on that day, Bishop Kohlgraf said yesterday. Another year nears its end, the seventh of this blog, which is always a good opportunity to look back, especially at what has appeared here in the blog over the course of 2016. I have grouped things loosely in various categories, so as to give an impression of cohesion. In Rome, and despite turning 80 this year, Pope Francis kept up the pace, introducing several changes, expected and unexpected. First, in January, he issued a decree which opened the rite of foot washing on Maundy Thursday also for women. I reflected on it here. On Ash Wednesday, the Holy Father sent out 1,000 missionaries of mercy, among them 13 Dutch priests, as part of the ongoing Holy Year of Mercy. Pope Francis commented on the question of female deacons, which led to much debate, at least in Catholic social media. I also shared my thoughts. A smaller debate revolved around an instruction from the Congregation for the Doctrine of the Faith, approved by the Pope, about Christian burial. The reform of the Curia also continued, first with the creation of the Dicastery for the Laity, the Family and Life and the appoinment of Dallas Bishop Kevin Farrell as its first prefect; and then with the creation of the Dicastery for the Promotion of Integral Human Development, for which the Pope picked Cardinal Peter Turkson as head. Pope Francis also added to the College of Cardinals, as he called his third consistory, choosing seventeen new cardinals from all over the world. Towards the end of the year, and following the end of the Holy Year of Mercy, Pope Francis issued an Apostolic Letter about the absolution from the sin of abortion, a faculty now extended to all priests. Pope Francis made several visits abroad this year. To Cuba and Mexico, to Greece, to Armenia, to Poland, to Georgia and Azerbaijan, but the last one received the most attention here. For two days, Pope Francis put ecumenism in the spotlight during his visit to Sweden. Announced in January as a one-day visit, a second day was added in June. In October, the Nordic bishops previewed the visit in a pastoral letter, which I published in English. Still here, and unlikely to go completely away in the next years or decades, the abuse crisis continues to haunt the Church. in February there were shocked reactions to comments made by a prelate during a conference on how bishops should handle abuse allegations. I tried to add some context here. In the Netherlands there was indignation when it became clear that a significant number of abuse cases settled out of court included a secrecy clause, preventing victims from speaking negatively about the Church institutions under whose care they suffered abuse. In April, the annual statistics of abuse cases processed and compensation paid out were released. In April Amoris laetitia was released, the Post-Synodal Exhortation that was the fruit of the two Synod of Bishops assemblies on the family. Cardinal Eijk, the Dutch delegate to the assemblies, offered his initial thoughts about the document, followed by many other bishops. While the document was broadly lauded, an ambuguous footnote led to much discussion. In November, four cardinals publised a list of dubia they presented to the Pope, but which received no answer. Citing the clear uncertainty about certain parts of Amoris laetitia, visible in the wide range of conclusions drawn, the cardinals respectfully asked for clarification, which they will most likely not be getting, at least not in the standard way. There were many more and varied events in local churches in the Netherlands and beyond. Theirs is a very general category, aiming to showcase some of the more important and interesting developments in 2016. In January, the Belgian bishops elected then-Archbishop Jozef De Kesel as their new president. At the same time, Cardinal Wim Eijk announced that he would not be available for a second term as president of the Dutch Bishops’ Conference. In June, Bishop Hans van den Hende was chosen to succeed him. Bishop Antoon Hurkmans retired as Bishop of ‘s-Hertogenbosch, and in January he sent his final message to the faithful of his diocese, asking for unity with the new bishop. In April, rumours started floating that the bishops had suggested Bishop Hurkmans as new rector of the Church of the Frisians in Rome. The Dioceses of Rotterdam and Groningen-Leeuwarden celebrated the 60th anniversary of their establishment. On Schiermonnikoog, the Cistercian monks, formerly of Sion Abbey, found a location for their new monastery. The Dutch and Belgian bishops announced a new translation of the Lord’s Prayera new translation of the Lord’s Prayer, to be introduced on the first Sunday of Advent. A photograph of the cathedral of Groningen-Leeuwarden started appearing across the globe as a stock photo in articles about the Catholic Church. It continues to do so, as I saw it appear, some time last week, in an advert for a concert by a Dutch singer. Speaking in Lourdes in May, Roermond’s Bishop Frans Wiertz spoke open-heartedly about his deteriorating Eyesight. In June, Fr. 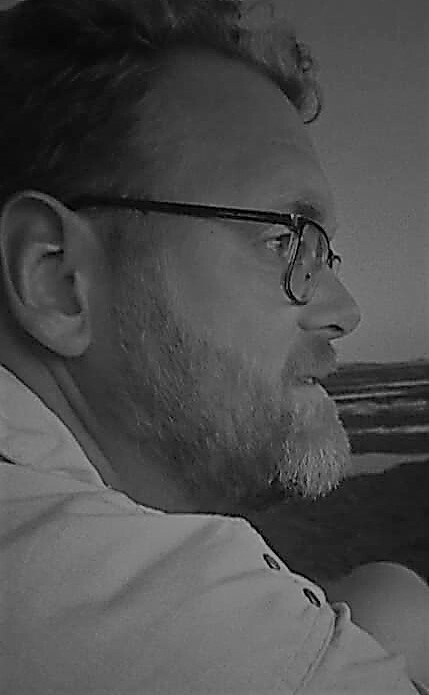 Hermann Scheipers passed away. The 102-year-old priest was the last survivor of Dachau concentration camp’s priest barracks. In that same month, the nestor of the Dutch bishops marked the 75th anniversary of his ordination to the priesthood. Bishop Huub Ernst is 99 and currently the sixth-oldest bishop in the world. In Belgium, the new Archbishop of Mechelen-Brussels closed down the Fraternity of the Holy Apostles, erected by his predecessor, to the surprise of many. Bishop Patrick Hoogmartens of Hasselt received a personal message and blessing from Pope Francis on the occasion of the 18th Coronation Feasts held in Hasselt in the summer. The annual procession in honour of St. Willibrord in Utrecht was criticised this year after the archbishop chose to limit its ecumenical aspect. I shared some thoughts here. In Norway, Trondheim completed and consecrated a new cathedral. English Cardinal Cormac Murphy-O’Connor was sent to represent the Holy Father at the event. The retired archbishop of Mechelen-Brussels, André-Joseph Léonard, was heard from again when a new book featured his thoughts about never having been made a cardinal, unlike his immediate predecessors and, it turned out at about the time of the book’s publication, is successor. At the end of the year, Berlin was hit by terrorism as a truck plowed through a Christmas market, killing 12 and wounding numerous others. Archbishop Heiner Koch offered a poetic reflection. In foreign media, the Catholic Church in the Netherlands also made a few headlines. In September, Cardinal Eijk was invited to speak at the annual assembly of the Canadian bishops, sharing his experiences and thoughts concerning the legalisation of assisted suicide. In the wake of that meeting, he also floated the idea that the Pope could write an encyclical on the errors of gender ideology. in Rome, 2,000 Dutch pilgrims were met by Pope Francis, who spoke to them about being channels of mercy. The new Dutch translation of the Our Father also sparked fears in some quarters that the bishops were leading everyone into heresy, leading to many faithful revolting against the new text. The truth was somewhat less exciting. Equally overexcited was the report of empty parishes and starving priests in the Netherlands. I provided some necessary details here. While my blog is written in English, there have also been three blog posts in Dutch. All three were translations of texts which were especially interesting or important. The first was my translation of the joint declaration of Pope Francis and Patriarch Kirill, an important milestone in ecumenical relations between the Catholic and the Russian Orthodox Churches. Then there was the headline-making address by Cardinal Robert Sarah at the Sacra Liturgia Conference in London, in which the cardinal invited priests to start celebrating ad orientem again. But the text contained much more than that, and remains well worth reading. Lastly, I provided translations of all the papal addresses and homilies during the Holy Father’s visit to Sweden. I kept the post at the top of the blog for a while, as a reflection of its importance for Dutch-speaking Christians as well. Twice in 2016 I asked my readers to contribute financially to the blog. In both instances several of you came through, using the PayPal button in the sidebar to donate. My gratitude to you remains. 10 January: Msgr. 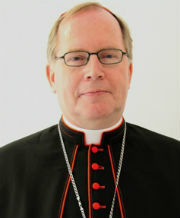 Rolf Steinhäuser is appointed as auxiliary bishop of Köln and titular bishop of Thuburnica. 5 March: Bishop Gerard de Korte, bishop of Groningen-Leeuwarden, is appointed as bishop of ‘s-Hertogenbosch. 29 April: Bishop Heinrich Timmerevers, auxiliary bishop of Münster and titular bishop of Tulana, is appointed as bishop of Dresden-Meißen. 1 July: Msgr. 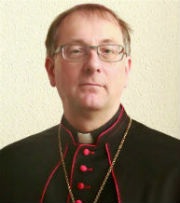 Georg Bätzing is appointed as bishop of Limburg. 23 September: Bishop Helmut Dieser, auxiliary bishop of Trier and titular bishop of Narona, is appointed as bishop of Aachen. 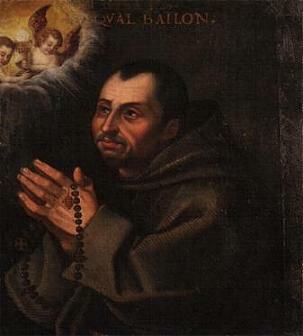 5 October: Fr. Lodewijk Aerts is appointed as bishop of Bruges. 12 October: Archbishop Augustine Kasujja, titular archbishop of Cesarea in Numidia and apostolic nuncio to Nigeria, is appointed as apostolic nuncio to Belgium. 28 October: Msgr. Rupert Graf zu Stolberg is appointed as auxiliary bishop of München und Freising and titular bishop of Sassura. 7 December: Archbishop Augustine Kasujja is appointed as apostolic nuncio to Luxembourg. 26 March: Bishop Andreas Sol, 100, Bishop emeritus of Amboina. 31 March: Georges-Marie-Martin Cardinal Cottier, 93, Cardinal-Priest of Santi Domenico e Sisto, Pro-Theologian emeritus of the Prefecture of the Papal Household. 16 May: Giovanni Cardinal Coppa, 90, Cardinal-Deacon of San Lino, Apostolic Nuncio emeritus to the Czech Republic. 26 May: Loris Cardinal Capovilla, 100, Cardinal-Priest of Santa Maria in Trastevere, Archbishop-Prelate emeritus of Loreto. 9 July: Silvano Cardinal Piovanelli, 92, Cardinal-Priest of Santa Maria della Grazie a Via Trionfale, Archbishop emeritus of Firenze. 2 August: Franciszek Cardinal Macharski, 89, Cardinal-Priest of San Giovanni a Porta Latina, Archbishop emeritus of Kraków. 18 August: Bishop Jan Van Cauwelaert, 102, Bishop emeritus of Inongo. 13 November: Bishop Aloysius Zichem, 83, Bishop emeritus of Paramaribo. 21 November: Bishop Maximilian Ziegelbauer, 93, Auxiliary Bishop emeritus of Augsburg. 14 December: Paulo Cardinal Arns, Cardinal-Priest of Sant’Antonio da Padova in Via Tuscolana, Archbishop emeritus of São Paulo, Protopriest of the College of Cardinals. to revive the heart of the crushed. but I will heal them. Last night here in Berlin. The night of terror, of fear, of death, of despair, of powerlessness, of anger. In Aleppo and in so many places in this world. Night of powerlessness, of death, of hunger. Night, in which I do not know what to do anymore. In the middle of the night God became man: Jesus. A man of the night. With no place in the town and soon to be on the run. A God who became man in the night. But since He became God in the middle of the night and told all those in the night, I will not leave you alone – not in life and not in death – a star shines in the night. A star with the small hope in the continuous night, that the middle of the night is yet the beginning of the day. A star which shows the way of travelling together, not to exclude, not to settle. Together they came from distant countries, with their life experiences, to the child in the manger. We continue on the road in the night. And will not let go of each other. Thus the star became a star of blessing in the middle of the night. Thus it became Christmas in the middle of the night. Then in Bethlehem and hopefully and certainly also in Berlin. Earlier on Tuesday, Berlin’s St. Hedwig’s Cathedral hosted a moment of silent prayer, with organ music and a brief word from Archbishop Koch. On 27 August, Bishop Heinrich Timmerevers was installed as bishop of Dresden-Meißen. Here on the blog it went sort of unmarked because of the summer season, but here is the translation of the homily Bishop Timmervers gave on that day. There are a few interesting comments to be found, not so much about the future direction he wishes to take in managing the diocese, but of a more theological nature. Comments about the centrality of the person of Jesus and our constant need to seek Him out, but also about what it means that we followed a resurrected Jesus, the need for vocations and recognising Jesus in the faces of the poor and needy. “Dear sisters and brothers here in the cathedral and in the courtyard! Dear fellow celebrants via the screens! The first encounters with faithful from our diocese took place during the Katholikentag in Leipzig. Various people often addressed me with the words, “Are you not our new bishop?” “Yes, I am!” We usually exchanged a few words and then I was often told, “We look forward to you very much!” – sometimes followed by the addition, “Hopefully you will stay a bit longer!” “That is what I’m expecting”, I answered. A person entering the cathedral is soon taken with the altar statue, created for this church by Anton Raphael Mengs in 1752. Christ, the crucified and risen one, is being taken up into heaven. It is an Ascension image. It seems a remarkable coincidence to me, that I chose my episcopal motto from these verses 15 years ago, and that it is now held up to use in the form of this great image. “Seek, where Christ is!”. “Think of what is above, not of what is on earth.” What is above is Christ. Jesus Christ, the Son of God, become man for us, crucified, died and buried, but then risen from the dead, He returns home to the Father. Through the Spirit, which He has poured out over the entire world, and which He continues to pour out, He is among us. This is the Jesus Christ with whom we are concerned, with whom Christians are concerned, He is the heart of our faith and life. This also seems a wonderful coincidence to me: Bishop Joachim chose the motto “Jesus in the centre”; Archbishop Heiner the motto “Rejoice always, the Lord is near!”. And I chose as motto: “Seek, where Christ is!” It is all about Him! Perhaps some would wonder, “Why should I seek Christ, what does that mean to me?” What it means to me, I have heard already in the first line of today’s reading: “You were raised with Christ!” One who is united to Christ through Baptism, has received a new life with Him, a life which does not end with death. Even more: the person baptised holds life within him, which today, now, gives us the strength and courage to face the challenges of life. Who seeks Jesus, finds direction for his life. Who seeks Jesus, finds clarity amid the many meanings presented by this world. Who seeks Jesus, finds with him the power of love, which conquers all division! Who seeks Jesus, finds a peace with Him, which the world can not give and no man can create! To quote Pope Benedict: “By relying on Jesus, you lose nothing, but gain everything!” You gain quality of life! How many of us, gathered here together, can say: It is worth seeking Jesus and entrusting yourself to Him! Where do we find this Jesus Christ? The statue of the Ascension in the cathedral provides an initial answer. The Church is the place of the risen, and indeed this, our Church, today, which constantly needs renewal and vitalisation through the Gospel. This Church, which has suffered under division since the Reformation, this Church, which every now and then can give a credible witness of love and mercy, this Church is the place of the Risen Lord! And in this Church the Lord is present in His Word, which is proclaimed and lived; He is present under the signs of bread and wine; He is present in the ministries of our Church. He is present when we come together in His name. The faithful in the communities of the Diocese of Dresden-Meißen have, over the past years, been working with a process of exploration. What matters is to find ways in which as many people as possible in Saxony and eastern Thuringia can come to know and encounter Christ. I want to familiarise myself very soon with this process and I want – as soon as possible – to visit and get to know the responsible communities. I agree with the basic conviction of this process: the Church is the space of the Risen, the parish as the home of the Risen, the community coming together, is a place of the Risen! And then, dear sisters and brothers, the responsible communities established in this process of exploration will also be places of the Risen. Amid all the questions and searching, with their arguments, clarifications and decisions, which must be made for a new structure for the pastoral care, and in trying to be a living and inviting Church, we all share the responsibility together to give the Risen One space among us. How can this be experienced? Dear sisters and brothers, I invite you to ask yourself these questions: “Are you in the peace of the Risen One, and do you have vocations?” In thinking about what the future will brign for our communities, what matter is that we create room among us for the Risen One! Who approaches Him in thought, question, search and in word and deed, will experience His peace. The second question, “Do you have vocations?”, is internally connected to the first one! The Risen One calls people to be priests, religious. the Church needs these vocations! The Risen One calls the baptised and confirmed to come together with their gifts and abilities and work together on building up the Church! In the peace of the Rison One we can be Church together and have an effect on the world! The Church does not exist only for herself: we have been placed in the world, we live in it and with our lives we witness to the Good News! “Seek where Christ is!” Christ Himself shows us an even greater horizon, where we we look for and can find Him. In the Gospel that we hae just heard (Matt. 25:31-40), Jesus speaks about the final judgement and presents to us what will be asked then. These questions make our lives today very concrete! Jesus says something unimaginable, He identifies Himself with the suffering and needy of this world. Whoever seeks Him, finds Him in the hungry, the thirst, the homeless, the naked, the sick and the imprisoned. He takes the suffering out of their anonymitym He gives them a face, His face! And so He can say, “Whatever you did for one of these least brothers of mine, you did for me”. Christ broadens our horizon! Being Church and being Christian is not realised by staring at heaven, Christians do not remain within the churches, however beautiful these are! Being Christian means not being satisfied with looking inward in sacristies and parish houses! In seeking Christ we arrive at those who – for whatever reason – are in need! That is where we are all called! Dear sisters and brothers, I invite you to go with me. Let us seek where Christ is! Between now and the end of the year, seven cardinals will turn 80 and thus become unable to vote in a conclave. The number of electors is now 114 and will be 107 at the end of November. If a consistory is held sometime in February, as the previous two were, at least one and perhaps two more cardinals will have aged out, allowing Pope Francis to create up to 15 new cardinals to bring the number of electors back up to the maximum of 120. William Levada, Prefect emeritus of the Congregation for the Doctrine of the Faith, on 15 June. Anthony Okogie, Archbishop emeritus of Lagos, on 16 June. Antonio Rouco Varela, Archbishop emeritus of Madrid, on 24 August. Jaime Ortega y Alamino, Archbishop emeritus of Havana, on 18 October. Nicolás López Rodríguez, Archbishop of Santo Domingo, on 31 October. Théodore-Adrien Sarr, Archbishop emeritus of Dakar, on 28 November. Audrys Bačkis, Archbishop emeritus of Vilnius, on 1 February. Raymundo Assis, Archbishop of Aparecida, on 15 February. Of these, seven are retired, but it would be altogether too easy to expect their successors to be made cardinals after them ( and Cardinal Levada’s successor in the Congregation for the Doctrine of the Faith, Cardinal Müller, already is one). Still, it would fit with Pope Francis’ focus on the periphery, the plight of refugees and the importance of families to make Archbishops Alfred Martins in Lagos, Juan García Rodríguez in Havana and Vincenzo Paglia in the Pontifical Council for the Family cardinals. In addition to Archbishop De Kesel, there are some more possible candidates for a red hat in northwestern Europe. In Germany, Archbishop Heiner Koch (at right) of Berlin is one. Six of his predeccesors in the German capital were cardinals, and although elected by the cathedral chapter of Berlin, he was included on the list they chose from, which was okayed by Pope Francis. Another option, if a remote one, is Archbishop Stefan Heße of Hamburg, appointed by his fellow bishops to oversee the Church’s efforts in the refugee crisis, a topic close to Pope Francis’ heart. It would Hamburg’s first red hat. I don’t foresee any new cardinals from other countries in the area. That said, anything’s possible, as Pope Francis has previously elevated cardinals from unlikely dioceses. If Pope Francis creates any cardinals in this part of Europe, it would be a first. In his past two consistories he did make some German cardinals, but they were all either retired or working in Rome. While there will be a precious few who have already carefully studied all of Amoris laetitia, the vast majority of us, so soon after its publication, won’t have. But that does not mean that there are no opinions (some ultra-orthodox channels have gone beyond themselves in pointing out how dangerous the Exhortation and Pope Francis are for us poor Catholics… but such irresponsible agenda-driven writing is another story altogether). I’ve agreed to do #AmorisLaetitia media stuff but no text by Wed evening. Hard to talk about a text you haven’t had time to read & digest. Archbishop Heiner Koch, Archbishop of Berlin: “I see this text as a great invitation to the local Churches, to commit ourselves even more to marriage and family, in marriage preparation, the guidance of married couples, but also in the attention to remarried divorcees and single parents. … Pope Francis rejects any “cold bureaurcratic morality” and describes all pastoral care as “merciful love”, which is “ever ready to understand, forgive, accompany, hope, and above all integrate” (n. 312). “How confidently can we live, as God is at our side on the difficult paths of life! How confidently can we pray: the good God hears and understands us! How hopefully can we commit ourselves to people, as God gives us strength in all challenges! How expectantly can we die, as the Crucified One does not abandon us in death!